‘Click where you want the link, or highlight the text that you want to link. Click Insert and then Link. In the "Text" field, type the text you want to be linked. In the "Link" field, enter a URL or email address, or search for a website. Select the cell you want to link. 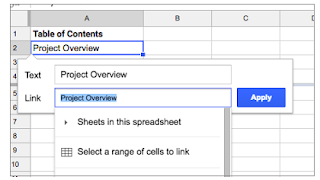 Click Select a range of cells to link Grid. Select the range of cells you want to link to.